Contact information will not be published but is for the use of contacting with any questions on the information you provide. 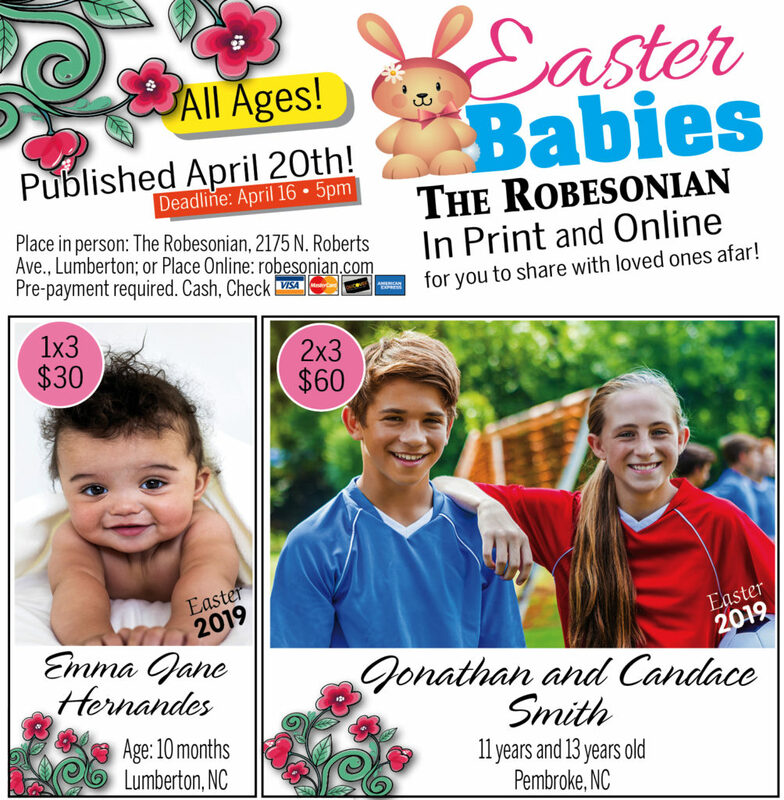 The Robesonian, 2175 N Roberts Avenue, Lumberton, NC 28358. If more than one child in photo, please list each child's name in order from left to right. Please provide valid phone number where you can be reached. A Robesonian representative will contact you by next business day to collect pre-payment. Hi-res if possible. Not larger than 75MB.